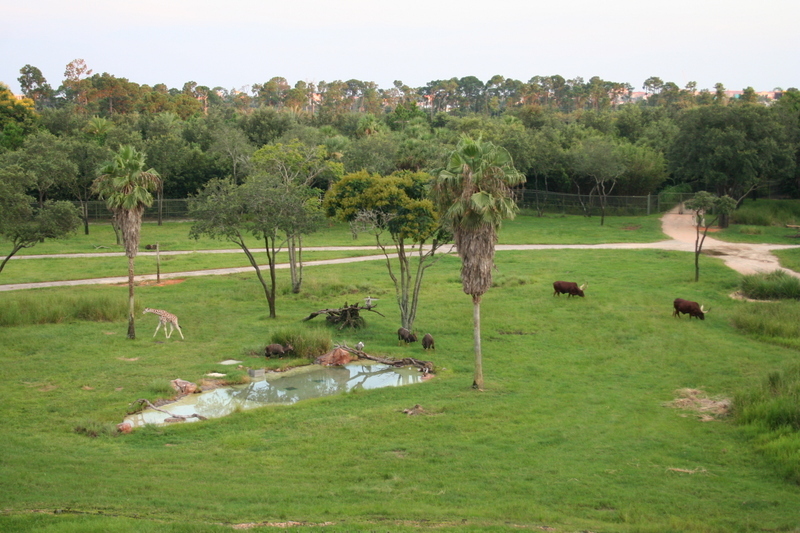 Below is the view from the balcony of Room 5524 at Disney's Animal Kingdom Villas. Room 5524 is a 1BR lock-off located in Jambo House on the fifth floor (Zebra Trail), with a connecting doorway to Room 5522 (a studio). These photographs are courtesy of MiaSRN62, a member of the DISboards.